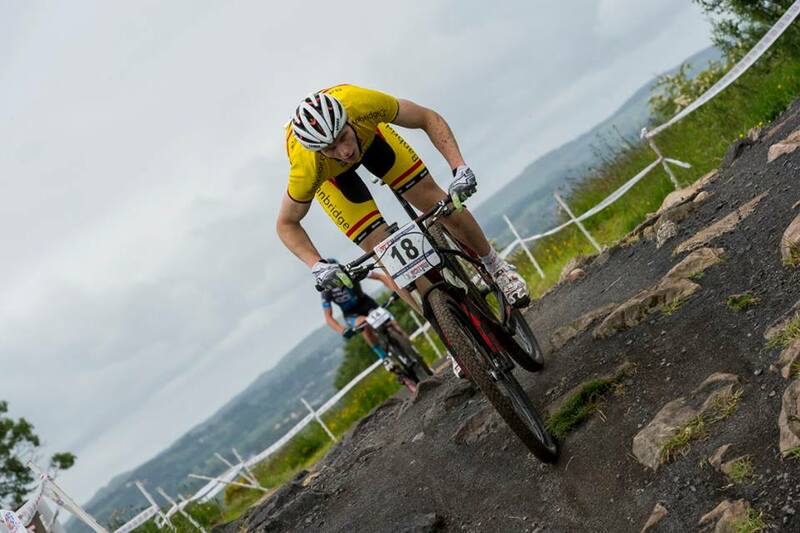 Banbridge Cycling Club’s James Curry and Gareth McKee were in action at the 4th round of the British National Points Series on the Commonwealth Games course in Cathkin Braes in Glasgow, Scotland. McKee was off first in the Elite race, where the competition would be the stiffest. Starting from 18th position on the grid it was going to be tough to get though the field in the short starting straight. As soon as the starting whistle was blown the rider immediately in front of McKee slipped his pedal, forcing Gareth to slow down and go round and work his way through the field. After a tough first lap working his way through the riders ahead Team Manager Simon Curry was shouting that he was in 5th position and battling with a further group of 2 riders ahead. The next lap McKee rode a steady and measured race with the group of riders, however coming to the end of the lap Gareth would lead the group across the line. Working together to try catch the leaders on the open sections, McKee lead and managed to get a gap on the group on the downhill single track. Over the next few laps a strong chase group formed and was now chasing hard, closing to within 30 seconds of Gareth. With no let-up in the racing Gareth could not take it easy and relax, it was a case of riding as hard as he could to the line. With plenty of support from Manager Simon Curry in the pits along with team mate James Curry and fellow Banbridge man and training partner Lindsay Watson who had suffered a mechanical during the same race, Gareth was receiving plenty of cheers from the side-lines as he held on to a fantastic 3rd place, a career best result. This excellent result means Gareth has moved up to 6th position in the overall British Series with one round still to go. Immediately after his podium ceremony McKee was quick to praise the his club "Thanks to Banbridge Cycling Club for all the support over the years, for without them this would not have been possible"
James Curry was off next representing Cycling Ulster in the Junior race. Curry started on the front row of the grid sitting in 5th place in the Series after a very strong start to the year. James got off to a bad start, not being able to clip in to his pedals and causing him to lose a lot of places in the process with his competitors taking advantage on the short starting straight. This resulted in James being in 20th position going into the first single track. Once the course opened out and riders spread out over the race distance James got going and started picking riders off each lap until he eventually finished in 9th position. This was another solid top 10 performance, and all the more remarkable given the shaky start. 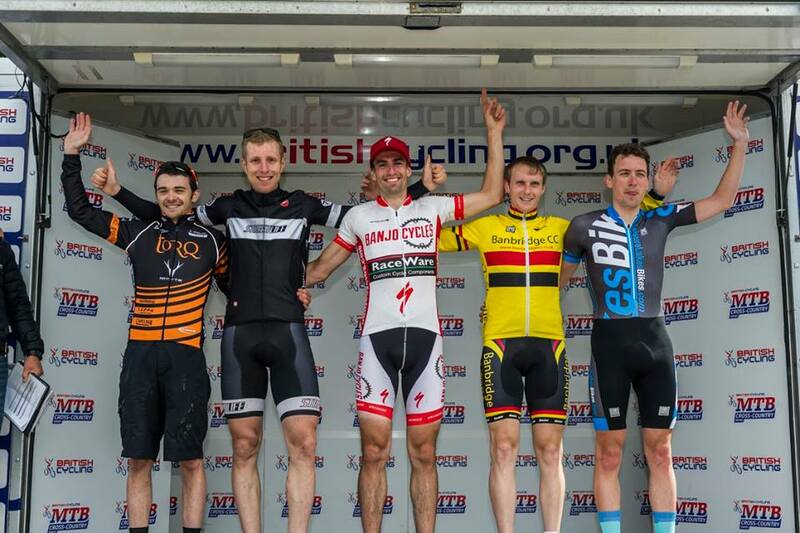 This result now sees James in 7th position in the overall British Series, also with one round still to go in Cannock chase.